A section of the map of Essex originally drawn by John Chapman and Peter André in 1777. In 1777 John Chapman and Peter André produced the most detailed map of the county that had been created to that point. It was published in several sheets, hard copies of which are available in the ERO Searchroom. 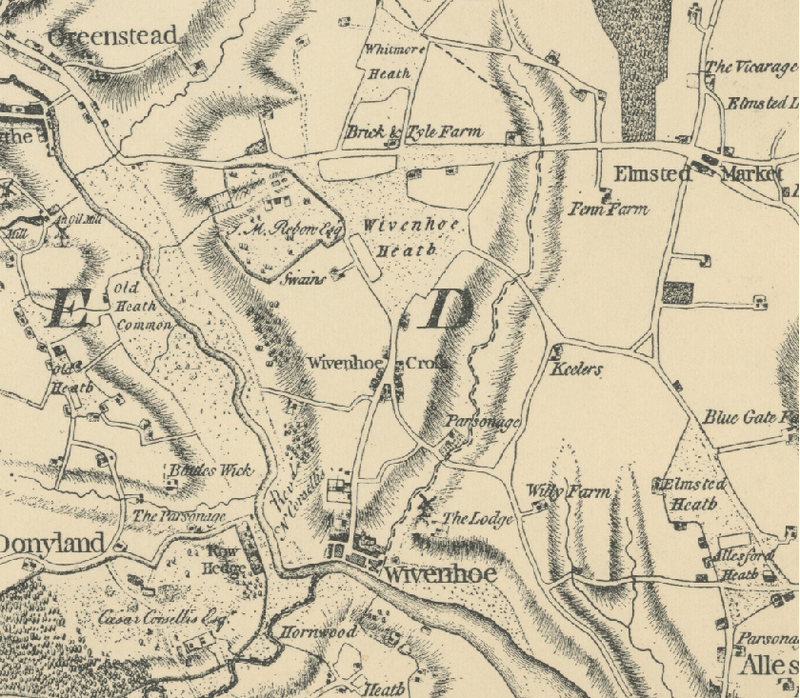 The map shown above just shows Wivenhoe.You can see that Wivenhoe Cross had almost as many houses as in the village by the river. How things have changed! The full map can be accessed through a website produced by web designer Tim Fransen. The site provides high resolution, zoomable images of the sheets, all stitched together, so you can explore this wonderful map like never before. This page was added on 03/03/2018.